65-year-old Ganesh Rajkumar of Durban and Henry Streets was today, March 20, charged by Chief Magistrate Ann McLennan with soliciting the services of a hitman to murder one Roger Conners. The virtual complainant in the matter is the would-be hitman, Mark Sandy. Rajkumar was not required to plea to the charge, which alleged that the offense occurred on August 25 last year at Durban and Henry Streets. Rajkumar was represented by Attorney Neil Boston SC. Boston SC told the court the allegation arises as a failed extortion attempt by Sandy. The court heard that Sandy was employed by the accused, Rajkumar. Rajkumar is the owner of the Arawak Hotel in Corriverton, Berbice. It is believed he also has a number of mining concessions. 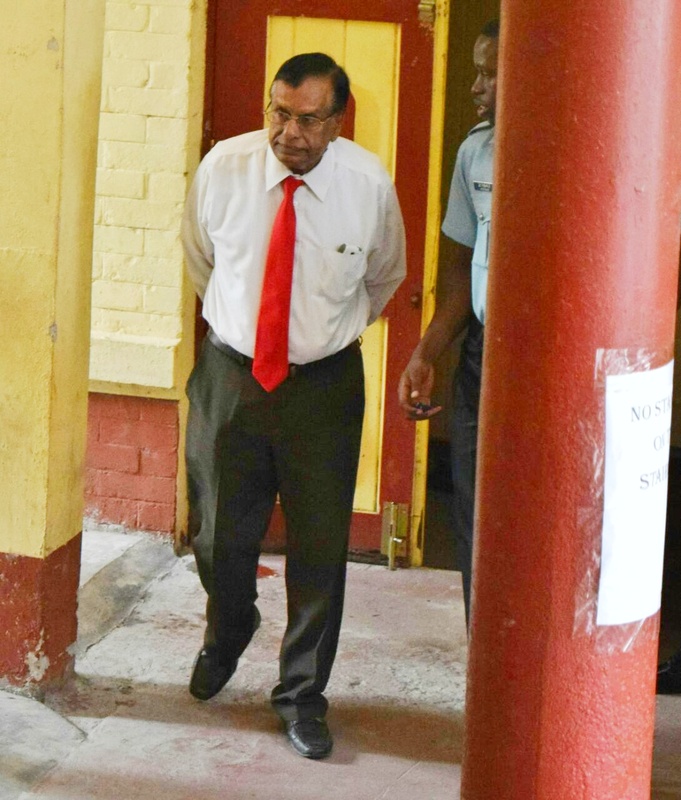 According to Rajkumar’s defense lawyer, Sandy learned that Rajkumar was entering a sizable deal with the Guyana Bank for Trade and Industry (GBTI). Sandy reportedly wanted a stake in the deal, and stirred up the allegation. Police prosecutor Corporal Deniro Jones objected to bail for Rajkumar on the grounds of the nature of the offense, and the penalty attached to the offense. Jones told the court Rajkumar has the means not only to flee the jurisdiction, but also to interfere with the witnesses. Rajkumar’s defense attorney rebutted that the only witness for the prosecution would be Sandy. Boston SC further made an argument that his client has cooperated throughout with police officers, which represents good faith. The police file on the matter is complete, and Rajkumar will return to court on March 28. As a condition of his bail, he must lodge his passport with the authorities and report regularly to the Criminal Investigations Department.